Our roaster/smoker combination utilizes an 80,000 BTU burner and manual control valve to allow you to set and maintain the low temperatures needed for roasting a whole pig, ribs, and other cuts of meat until they reach perfection. Designed for the road, this unit has everything a chef needs all in one place. Even easier to transport with no set-up or tear down required, simply hook up the 2” ball hitch and go. Simply place your choice of meat inside, fill smoking trough with wood pellets, light the burner with the push button on the control valve, and walk away. When you return hours later the meat will be delicious, tender, and juicy. • Total grill weight as pictured is 660 lbs. • Shipment Dimensions: 116”L x 46”W x 51”H = 157.49 cubic feet, shipping weight is 830 lbs. • Ships via UPS Freight only. Must have Loading dock or fork lift to receive. All others will be scheduled for pick-up at UPS Freight Terminal. 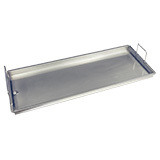 With our Nickel Plated Steel Cooking Grate or Rib Rack, your cooking options are endless. 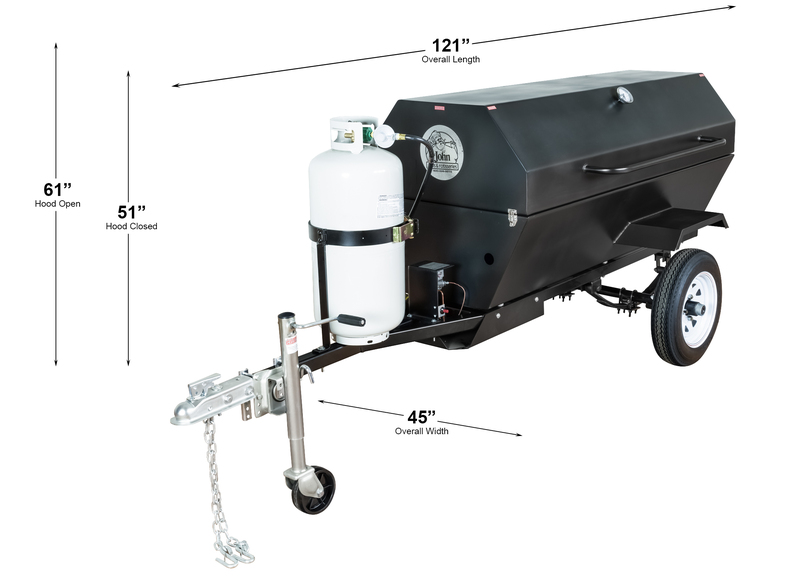 Whether you are roasting a whole hog or smoking ribs for friends – plus much more- this unit can do it. Paired with the stainless steel cooking pan this unit provides an easy cleaning, sanitary cooking surface that completely eliminates the possibility of flare ups. All of our grills are low pressure, but we choose to use a high pressure hose with low pressure fittings because they are much safer and can carry up to 125 PSI vs 1/2 PSI capacity. 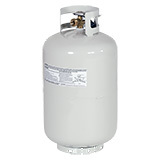 Our low pressure regulator and QCC are rated for up to 200,000 BTU’s, plenty of power for our commercial equipment. Why settle for only what is necessary when we make them stronger? 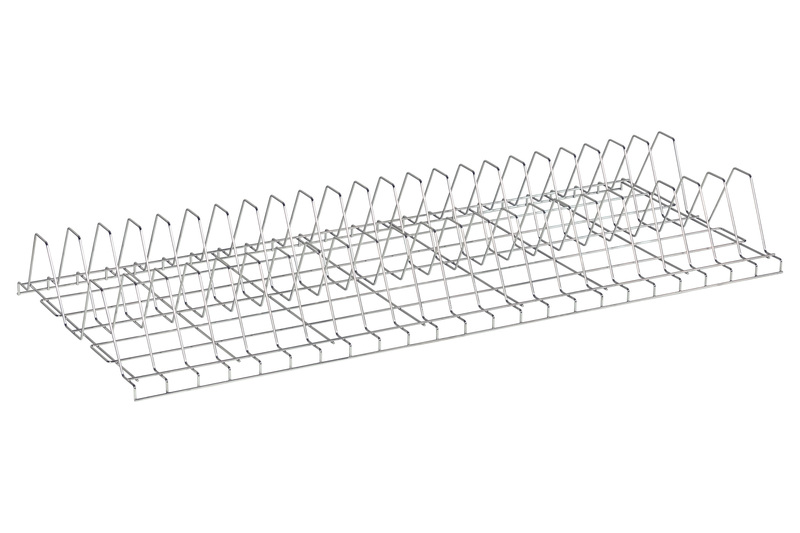 Our nickel plated steel cooking grate and rib rack are designed to withstand the demands of commercial cooking. Each is designed with two carrying handles for easy placement and removal from the unit. Our smoker/roaster features a stainless steel cooking pan that sets under the cooking grate or rib rack and catches all juice drippings from meat selections. For an easy transition between cooking and serving, place your cooked meat selections in the stainless steel cooking pan with meat drippings and serve right from the E-Z Way. The patented hood design traps heat, moisture, and flavor creating a natural convection. This decreases cooking time and eliminates the need to turn the meat while cooking which helps maintain a moist, uniform product. The hood latches are designed for transporting the loaded unit safely to your destination without sacrificing the product quality. Positioned above the burner tube, our re-fillable, powder-coated angle iron smoker trough is designed to accept wood chips and pellets. This allows the user to flavor food with smoke without opening and closing the lid – further locking in heat and moisture. Simply slide the trough out of the unit, dump used wood, and replace with new. 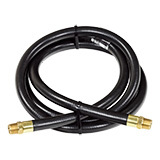 This unit is low pressure, but we choose to use a high pressure hose with low pressure fittings because they are much safer and can carry up to 125 PSI vs 1/2 PSI capacity. 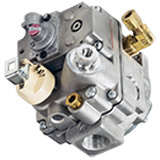 Our low pressure regulator and QCC are rated for up to 200,000 BTU’s, plenty of power for our commercial equipment. This regulator can only be purchased from Big John Grills. 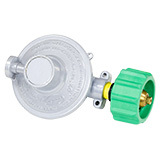 This gas valve is manufactured specifically for Big John Grills and cannot be found online or in a store. It meets our specifications for durability and function with its easy to use pilot lighting system. We choose to offer only 30# & 40# Worthington Cylinders with our products because they are engineered to be lightweight and durable. Each cylinder has a white, rust-inhibiting powder coat paint finish and are equipped with an Overfill Prevention Device. The comfortable hand-hold built into the collar makes for easy transportation of these of these cylinders that are manufactured to Department of Transportation and Transport Canada specifications. 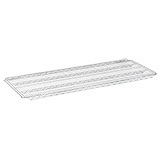 Our cooking grate is designed to withstand the demands of commercial cooking. It features 2 carrying handles for easy placement and removal from the unit. 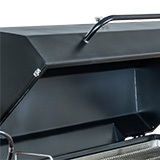 The hood of the E-Z way will not close unless the grill grate is in the correct orientation. 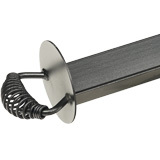 Our nickel plated steel rib rack features 44 slots and is designed to withstand the demands of commercial cooking. 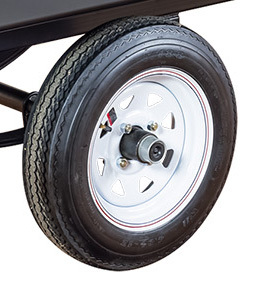 Two carrying handles make for easy placement and removal from the unit. Our smoker/roaster features a stainless steel cooking pan that sits under the cooking grate or rib rack and catches all juice drippings from meat selections. The juices are then routed to the back on the pan and down through a hole where they go into a catch all and out the back of the unit. Be sure to bring a container to catch the drippings. The 3” lip allows for an easy transition between cooking and serving, place your cooked meat selections in the stainless steel cooking pan with meat drippings and serve right from the E-Z Way, just be sure to plug the hole or you’ll lose all of the juicy flavor. The black powder coated angle iron trough is equipped with a stay cool handle and can hold wood pellets or water soaked chips. The unique hood traps and circulates heat and moisture creating a natural convection resulting in a juicy, flavorful finished product.